They were lovely while they lasted, but the high triple digit temperatures have done them in. I pressed many in the pages of a large book , later I will use them in artwork and many more were dried to be used in a special incense blend. 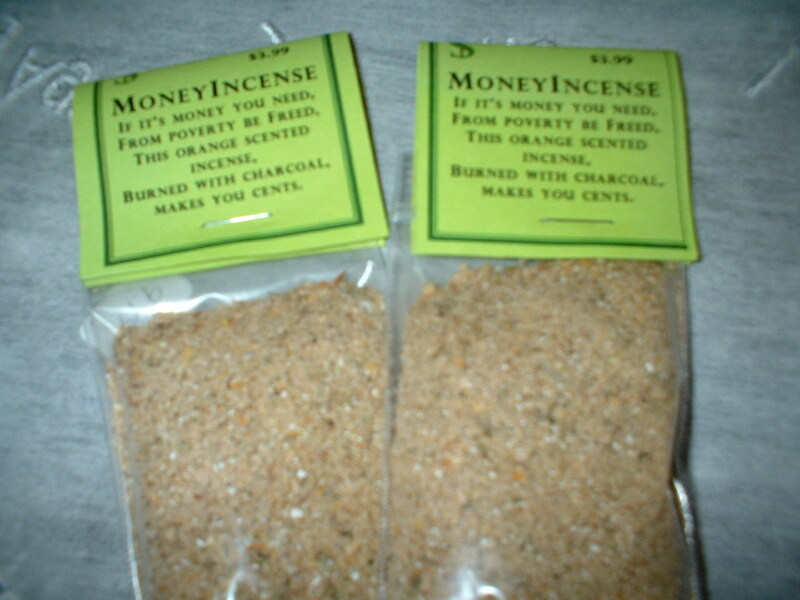 This incense is ready and packaged for pickup in the shop, or can shipped to you. 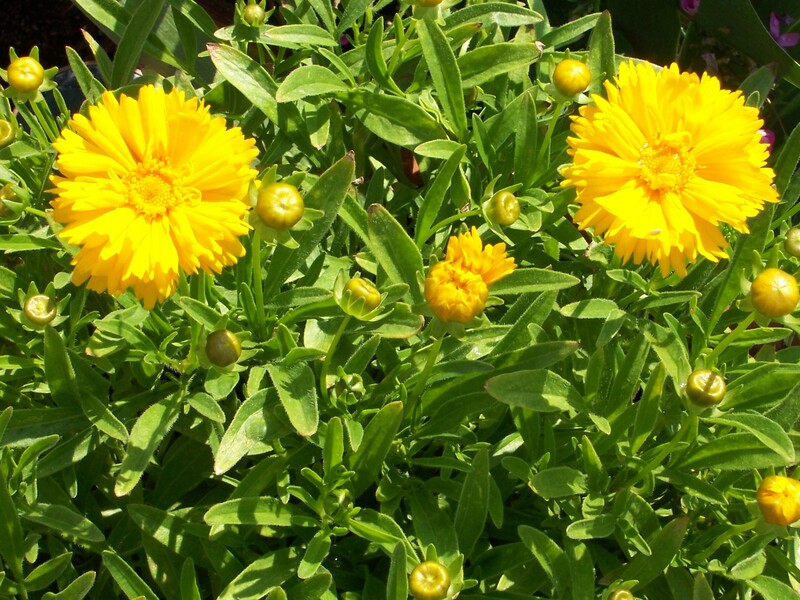 Golden coin shaped round flowers, a good beginning for our popular Money Incense. 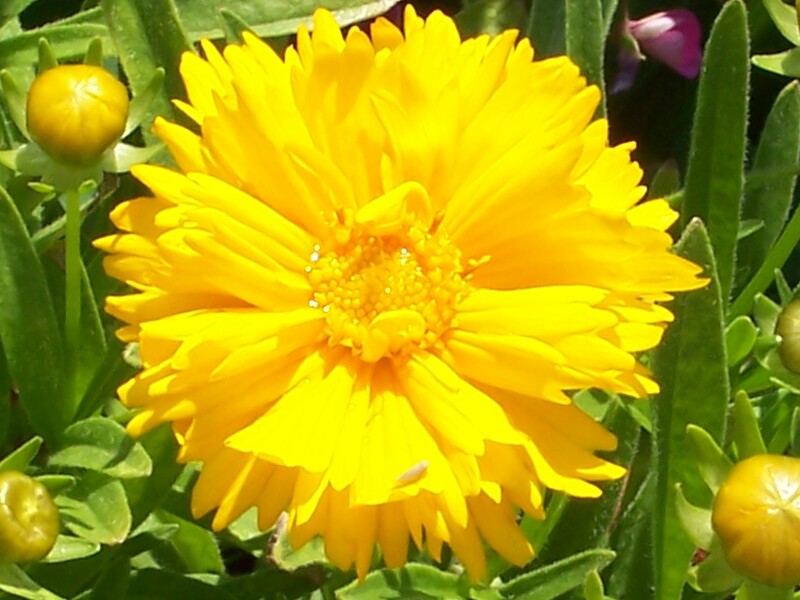 These bloom all summer; picking the flowers encourages more to bloom. 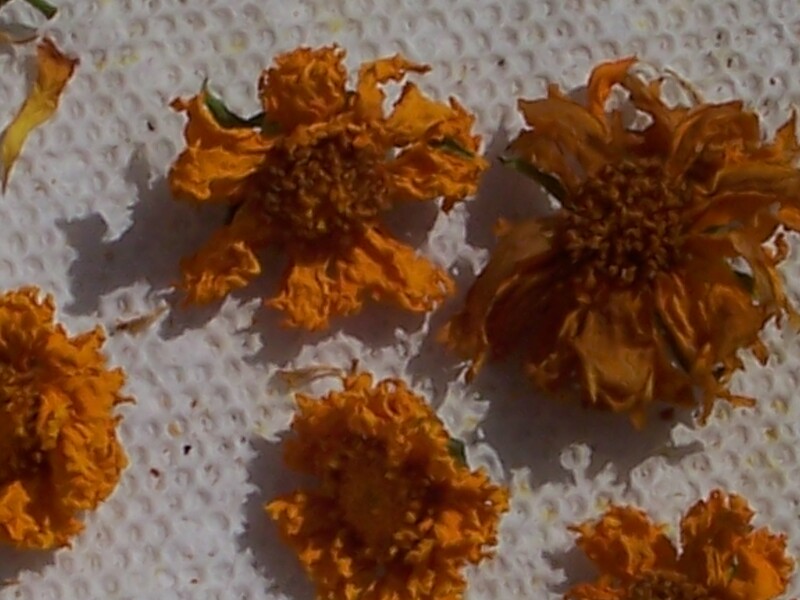 Dried flower heads shrink quite a bit, it is a good thing that I have several clumps of this growing, some in pots others in the ground. 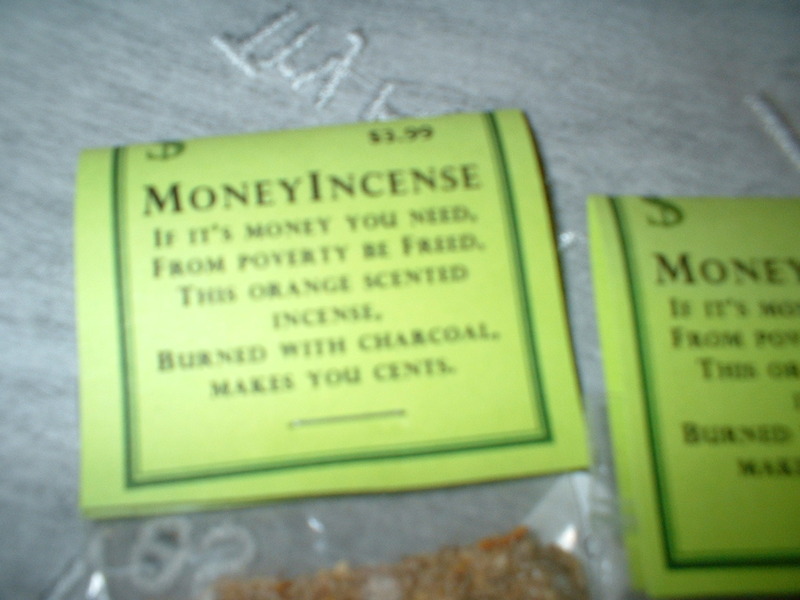 This Money Incense, designed to be burned with charcoal, contains other herbs and spices including pine, cinnawmon, jasmine and others and has an enticing orangey/lemony scent. we will be making new batches of this incense throughout the summer and fall. So I am dissapointed in myself…. Once again I have not lived up to my own expectations…I forgot a meeting here at the store yesterday evening. At 6PM closing time, forgetting that people were coming later in the evening, I closed up and went home. Not good. People, nice people, probably angry at me, but not as mad at me as me! Ah, well. I will call and apologize, then learn to forgive myself, resolve to do better in the future and go on with my human day. PS A wonderful lady is not really so angry at me…she understands that these things happen but said that she will call to remind me when their evening meeting comes up next month. Good to have understanding and help. It is a place where you can add your comments about experiences using the products from Funky Karma…watch for updates on the “testimonies” page. New Products in the Developement stage Now! 1. An idea sparks in my brain…maybe a request from you for a product, (Saint Expedite Oil and Powder is in the process now because several of our wonderful customers have asked for it)…sometimes it is as simple as a bead that calls for a product to be built around it, (watch for new Owl beads to appear in jewelry and incense)…ideas come from everywhere…and there are so many I have to be selective as I only have so much time and space! 2. The general idea is refined into a specific direction…oil? powder? incense? spray? form depends on best use, some products become available multiple forms. 3. Then I research what herbs, spices, oils, colors, crystals etc will work to make the new product perform to its best ability. Thanks to my online friend Carolina for direction and help on the Saint Expedite label and formula! And thanks to Rita for the info on Isis, her oil will be bottled Sunday. 4. Ingredients are gathered, and prepared, herbs and spices usually are hand ground, hand mixed, all of our products are hand crafted in small batches, using my own energy and intuition, then dedicated to their jobs by ceremony and intention. Everything I use in blends is organic, grown in my garden if possible, purchased from the best organic growers if I can’t grow it here. 6. Names of products usually follow use, but the right name is most important of all. Some names are traditional names, passed down thru history, some have names dictated by specific needs. All have to be commisioned with just the right wording for designated performance. 7. Packaging…bag? (paper or plastic) bottle (what size or shape…what lid, dropper, spray etc. )?, box, I invision a package that is easy to use, suits the product well, works with the displays already in place in the shop, and that make the product look the way I think it should. Many times this means ordering in special bottles or boxes. 8. Pricing the product means I need to know what each ingredient in the formula costs, what packaging costs will be and how much similar products on the retail market cost so that we can be competitive. As you know if you shop the Funky Karma we have the largest selection and the best prices in the area. 9. Labels usually develop by themselves, I just print them, after purchasing ink and paper or sticky labels. 10. Then to assemble the product, together with proper packaging and labeling. Every bag has to be filled with the right amount of product, weighted and closed before the label is applied. This usually involves help from Pluma’s Dad. He is a better packager than me, so he does and I apply labels. Occasionally Sara helps package, she has the patience to work the quirky scale. 11. Displaying …shelf, basket, bin, hanger, then which room does the specific product belong in…Tea Shop, Magick Room, Incense Room, Book Shop, Tarot Tent, Herb Kitchen. Soon we will be developing the outside space in the back of the shop..with a Patio complete with tables and chairs, a great place to pause awhile with tea and snacks, purchase plants and related products…watch for baby Jade trees soon, offspring of the Mother Jade that caused my recent injury, (broken ribs, cracked breastbone and torn muscle…moral of this story…don’t lift heavy things, ask for help!!! And a Big Thank-you to all who have come into the shop this week to help with the things I can’t do right now, like dusting, stocking, vaccuming (thanks Amy), lifting.) Also soon to be ready for sale Apple Mint Plants and Pineapple Mint Plants. 12.Advertising..in newspaper, blog, flyers and other handouts, store signs. Sometimes I design a class around a new product so everyone can learn to use it, and gain the best results. Word of mouth advertizing is the best…Thankyou all for bringing friends into the shop, telling others about our products and in general…spreading the word. As you can see, many things have to happen before new products reach the sales floor. As the man said, “Nothing happens until something moves”. I am very fussy about what carries our name. I want only the best products to have in my shop for your needs!